Wonderful esthetics! Slender wires in branches holding spinel twinned Copper crystals in Herringbone arrays. 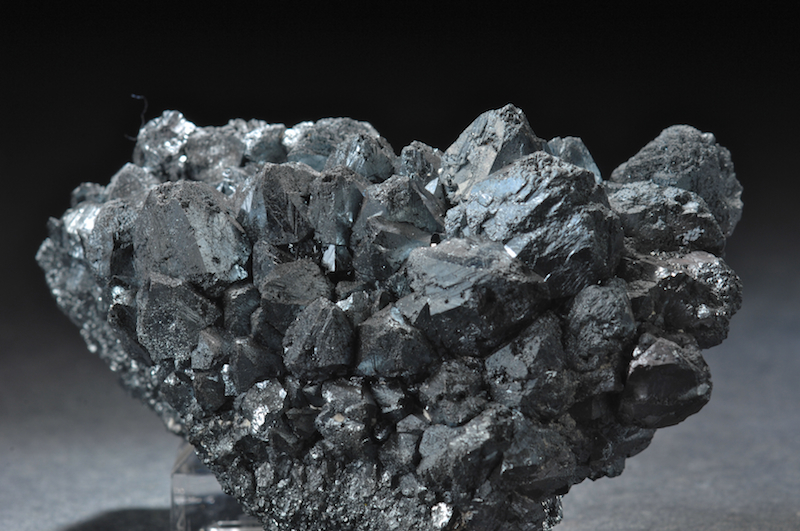 A very old specimen from the famed Phoenix mine, in perfect condition. A superb, textbook example of these habits that is much more delicate than most Phoenix specimens. Under magnification it seems a small dab of Silver is present as well as a small modified cube. It is remarkable that this piece has remained intact. A superb thumbnail crystal that has deep purple-red terminations on a yellow green prism. The color and luster ar top notch and this shows why the Vesuvianites of Jeffrey quarry are so treasured. Such colors simply have never been found anyplace else and even at Jeffrey, this color combination was very rare. A choice addition for a Jeffrey suite or any fine thumbnail collection. No damage and better in person. 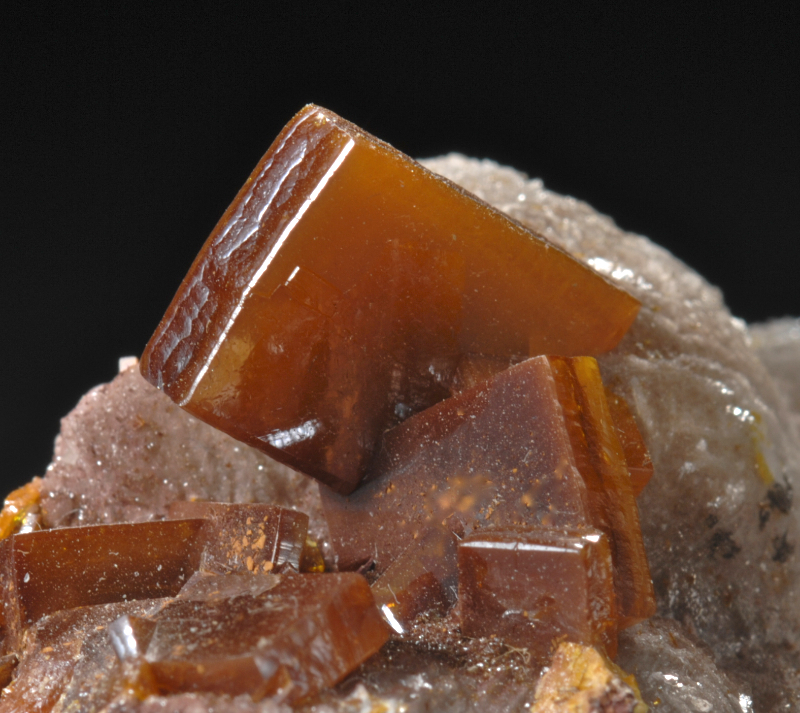 A cluster of "melted look" transparent Fluorites are aligned in an epitaxial arrangement. A close look shows these are filled with fibrous Foitite crystals that are in sprays and curved bundles. A few Foitite are seen on the exterior as well with the characteristic fibrous terminations. In fine condition and especially impressive with magnification. A fine specimen of this unusual habit from Northern Canada found over 15 years ago. These have sometimes been labelled as Hematite Pseudomorph after Calcite (they are not) since the Hematite is somewhat shaped like a Calcite scalenohedron. The crystals reach to 2CM and some show complex growth and twinning. Very bright luster and better in person, the best example I have seen. 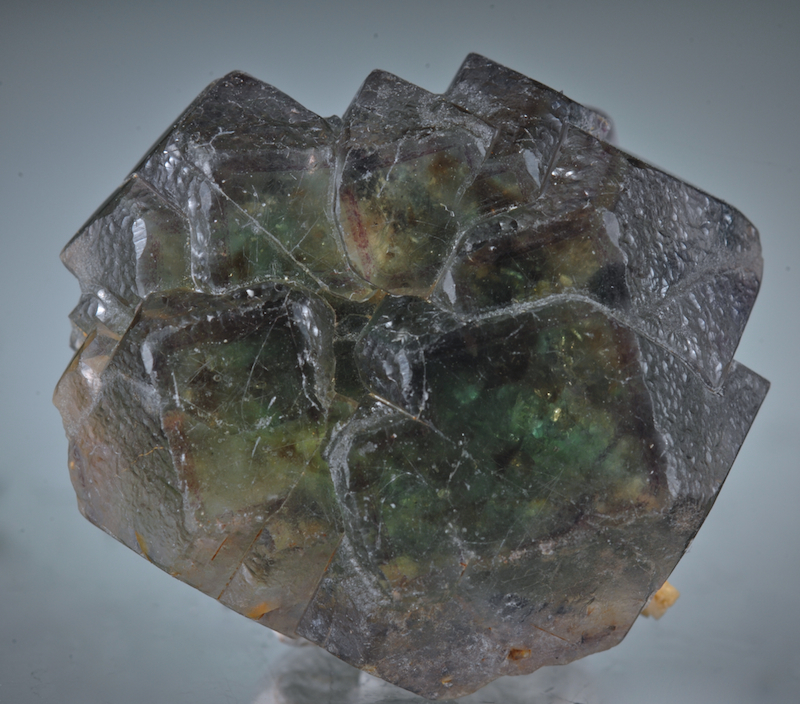 Grossular -very transparent crystals over diopside etc. A sculptural thumbnail with sharp, glass-clear crystals and deep color. It is possible to fine details in the matrix right through the Garnets. Crystals completely encrust a "thumb" of matrix on all sides. The luster is top notch, and there is no damage. With strong magnification the matrix shows several different micro crystals not identified. Fine striations on every crystal show different structures. Mt. Xuebaoding, Pingwu Co., Mianyang Pref. 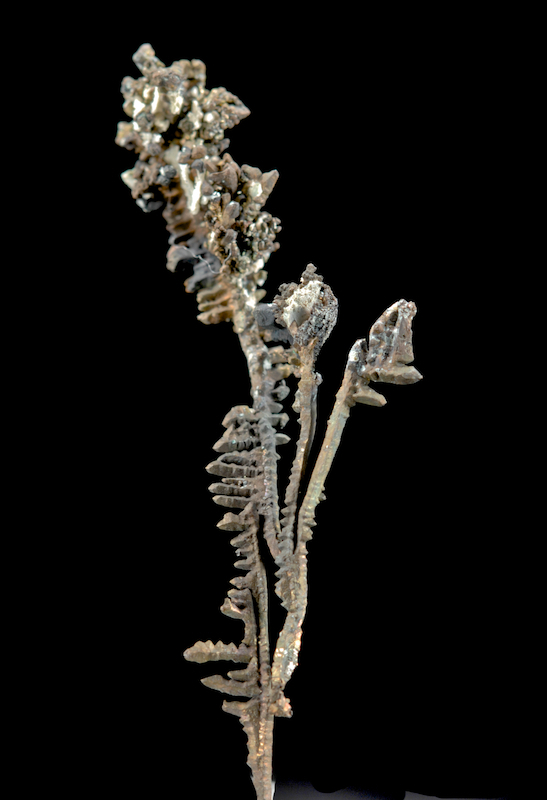 An unusual matrix plate well encrusted with Beryl (both Aquamarine and Goshenite) with fine clarity. The unusual part is the habit here, these are not the typical tabular crystals from Xuebaoding, but elongated prisms with truncated pyramids. Xuebaoding is a world famed locale and had produced many fine Beryls but almost always in a rare tabular habit. 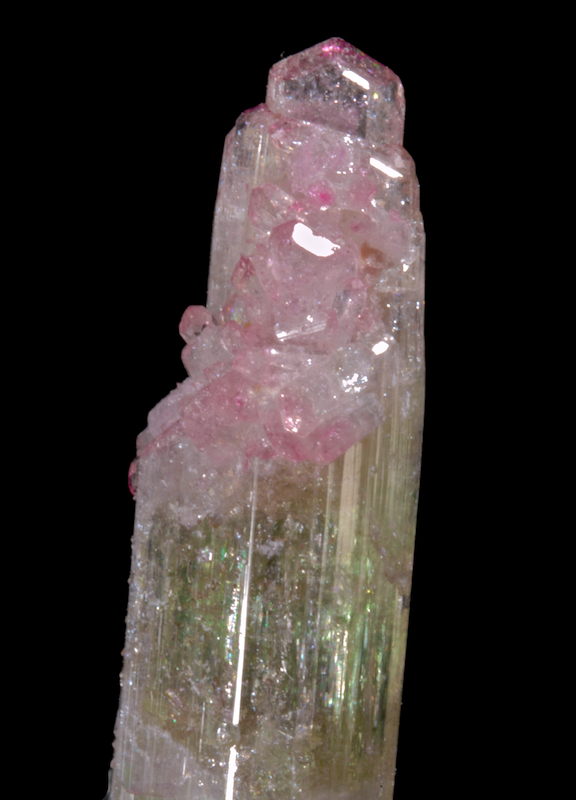 In 2006 a small zone with some elongated crystals produced these odd habit Beryl. This is a very good example from that find, there have been no more since. 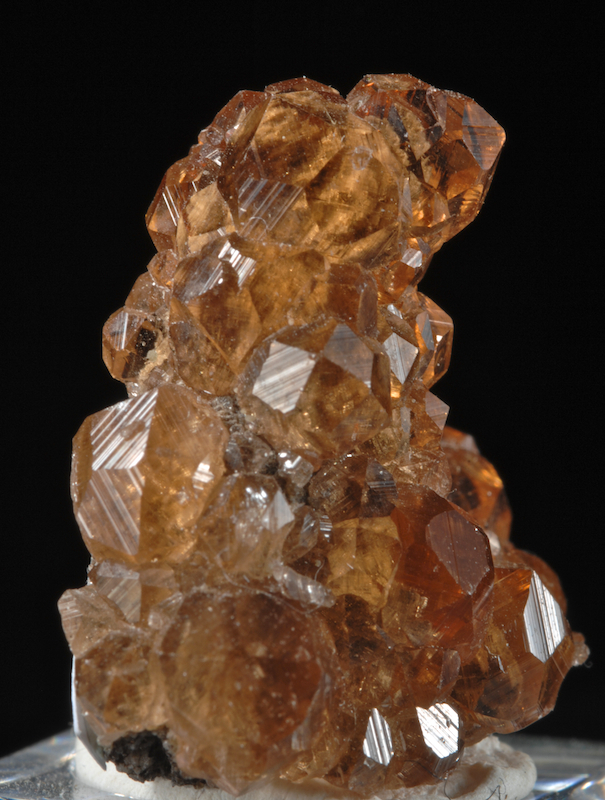 Cute orange to chocolate brown tabular crystals of free standing Wulfenite with glassy luster. Older Los Lamentos specimens like this are quite different from later finds. The main crystals are in perfect condition but chipping exists on the small crystals in outer areas. Choice, affordable small miniature from this classic location. 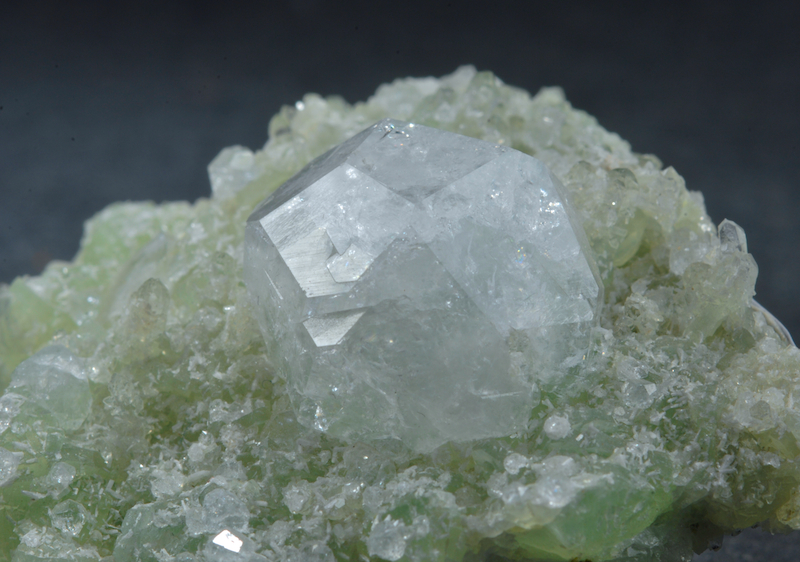 A perfect 2 CM glassy Analcime crystal is perfectly set on a contrasting green Prehnite. 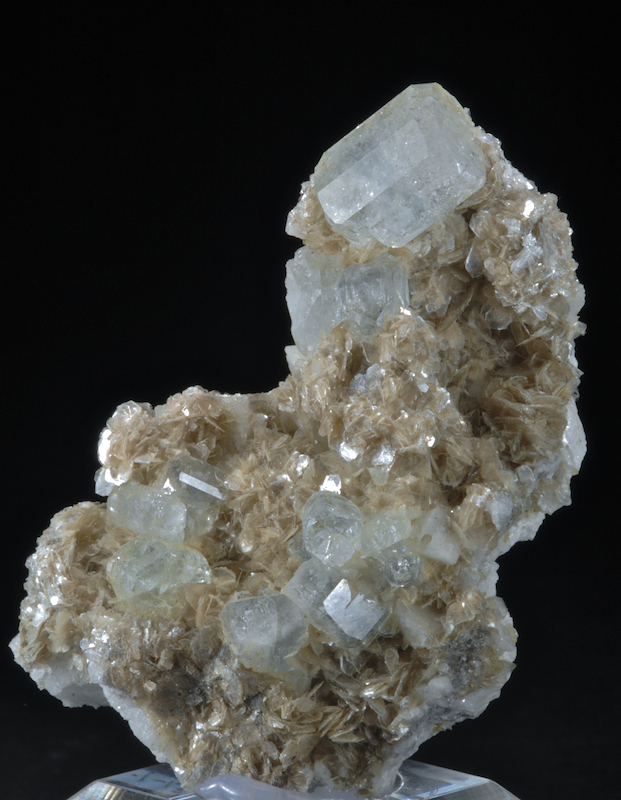 The matrix also hosts tiny Apophyllite, Quartz and Laumontite that add some extra sparkle. The Analcime from Goboboseb is not well known and almost never this large or transparent. Choice and undamaged, a very good value.